The iPhone X virtually changed everything in the smartphone arena with it remake iPhone design, security and the price that is actually huge for a smartphone. One year on, the iPhone XS one of the latest Apple phones emerged and has even pushed the price higher to N363, 000 (iPhoneXS) for 256GB depending on your location. While the later goes for N335,000 (iPhone X) for 64gb with a clear difference of 28,000 naira. But are there really much differences to justify this upgrade? 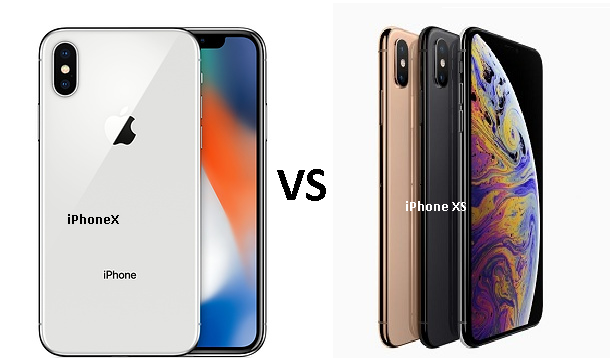 Pioneering its new Bionic chipset for this year, the smartphone XS is better and faster with a promised jump in performance. The new Apple Neural processor gives you one of the most powerful processing speed in the smartphone scene with top of the line graphic processing power. Performance is smooth and loading apps is snappy with no delay same as playing games. There is a 4GB RAM on board with a storage option ramging from 64GB to 512GB, a storage option that was not available in the formal flagship. There’s the iOS 12 on the smartphone too with navigation and improved gestures. You can also see A12 Bionic bigger when compaired to A11 Bionic of iPhone X.